My search for sweetness on a low-sugar diet has led me recently to powdered drink mixes, flavored powder that’s added to water to give it some taste other than that of bland old water. Boxes of these individually wrapped, portion-sized mixes can run close to three dollars for a 10-packet at regular stores, so I buy mien at the dollar store for $1 per package of 10. I tend to sue two packets per one liter bottle of water instead of one and look forward to having them at work now. 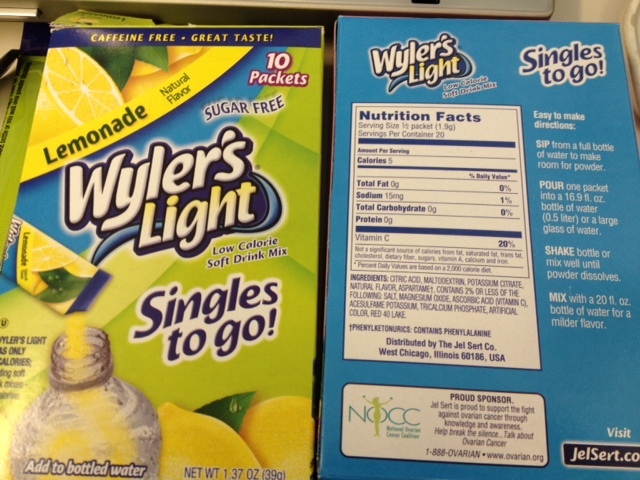 Wyler’s Light drink mix comes with 10 individual packets in a box. But before you rush out to buy them remember to read the nutrition panels on these. Like any other processed food, there are things to be aware of and, for some, reasons not to buy these. My local Dollar Tree store has both Wyler’s and Crystal Light brands. Each contains aspartame, a sweetener some consider dangerous. If you’re in that group, don’t buy these. Wyler individual packets. I put two in a one-liter bottle of water. 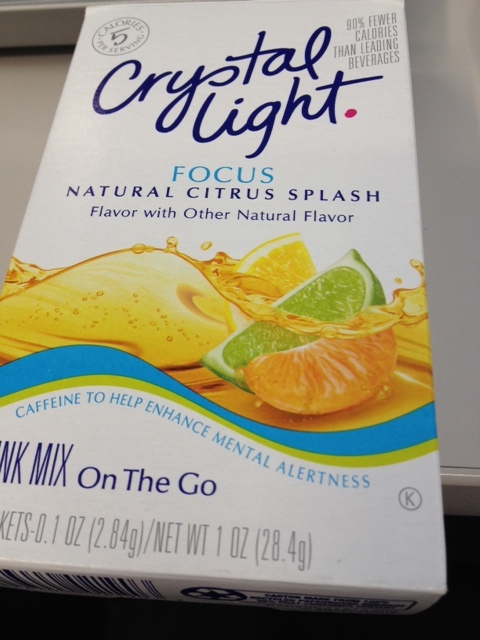 Those of you who, like me, are concerned about salt intake, also should note that the Wyler packets have 15 mgs of salt each while Crystal Light has no sodium. 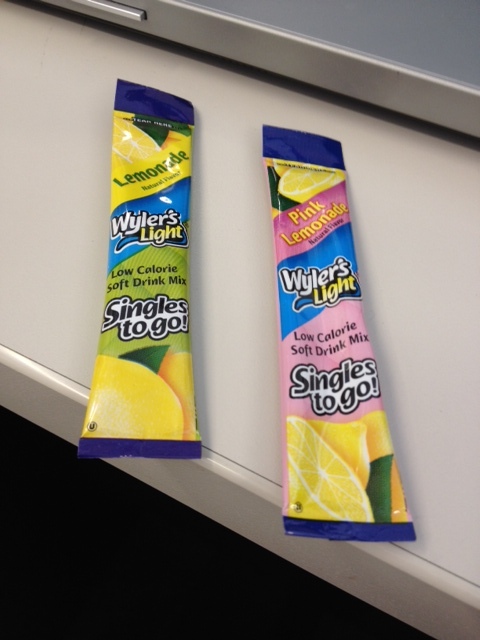 If like me, you have four of these a day, the Wyler’s content adds up to 60 mgs of sodium. Not much in itself, but it all adds up and before you know it you’re over your 1,200 to 1,500 mgs a day limit. I always opt for salt free now if possible.